How does Pack 8 wear the uniform? The Pack 8 uniform rule is “Above the Waist”. Pack 8 does not require the purchase of Official BSA Cub Scout pants and socks. 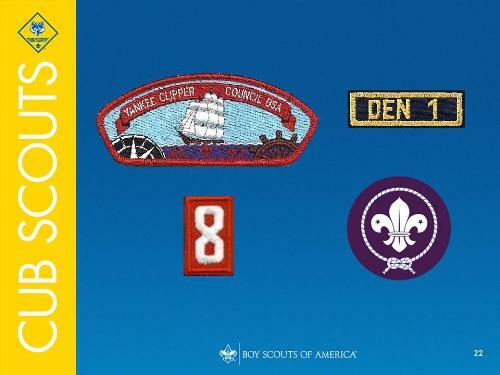 Cub Scouts buy their own complete uniform (hat, shirt, belt and buckle), including council patch, pack numbers, world scouting patch, and den numerals. Depending on adequacy of funds from the fundraiser the Pack then provides all future additions to the uniforms including badges, patches, and pins. Note: Academic and Athletic belt loops are designed to fit the Cub Scout issue belt. 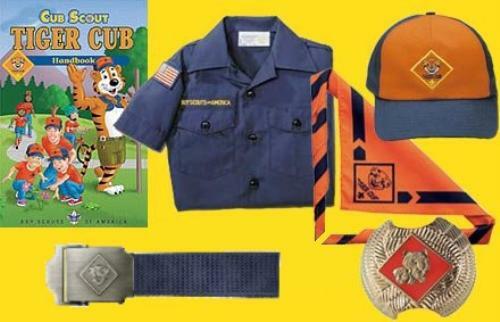 Tiger cubs: Traditional Cub Scout Blue Uniform with orange Cub hat and neckerchief. 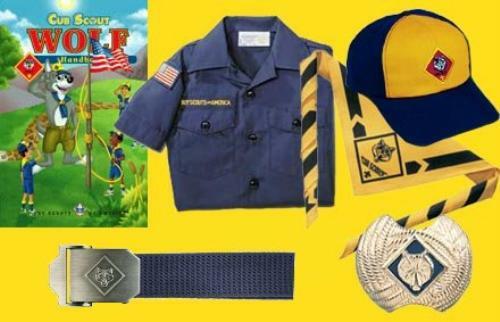 Wolves: Traditional Cub Scout Blue Uniform with gold Cub and neckerchief. 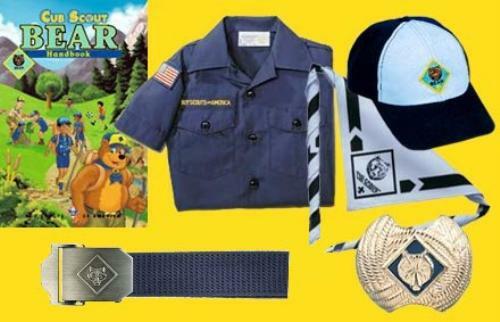 Bears: Traditional Cub Scout Blue Uniform with blue Cub hat and neckerchief. 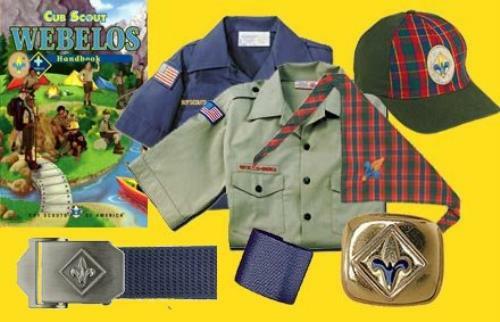 Webelos: Either Cub Scout Blue Uniform or tan Boy Scout uniform shirt, both with Webelos hat and plaid neckerchief. Pack 8 also uses a custom designed Pack T-shirt, a.k.a. Class B uniform, on all outings to save wear and tear on the official Class A uniform. It identifies the Pack but is much less costly than the blues. The Pack will organize an order of Class B uniforms annually. Why do Cub Scouts wear uniforms? Where can I buy Cub Scout uniforms? There are two local sources for Cub Scouting uniforms.